Image Comics keeps the indie comics spirit flying high in March, with more new releases and Walking Dead fueled fun. Of all the cover art swinging through their March solicitations, here are the four shots set to go down the best in 20-11. 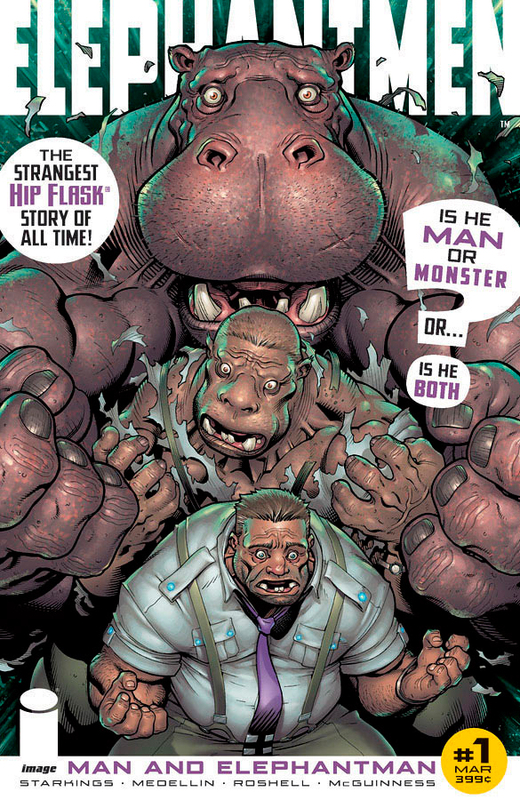 COVER OF THE MONTH: Elephantmen: Man and Elephantman #1 - Ed McGuinness A decent tribute cover always goes down well, and who better to salute the iconic cover of The Incredible Hulk #1 than modern Hulk mega artist Ed McGuinness? No one - that's who. CLOSE CONTENDERS: (Click to enlarge) Hoang Nguyen / Khari Evans / Kinsun Loh - Carbon Grey #1, Rodin Esqueljo - Morning Glories #8, and Rob Schrab - But I Can't Do Anything Else! The Art Of Rob Schrab. For the full Image March rundown click the jump. Morning Glories covers are always amazing as well as the series itself which also is one of a kind and groundbreaking. With just few issues released so far i cant get enough. Thanks for the comments IFF! I hear a lot of great things about Morning Glories - might have to look for it in trade soon and see what all the hype is about! Yes i will highly recommend and trust me is all worth the hype, soon as you start reading from issue 1 you wont stop.Imagine Runaways meet Lost and X-Men in one book!!! That is a pretty potent mix IFF - Runaways is something I always liked picking up - so will check into this too.